This dress is made from burlap bags. 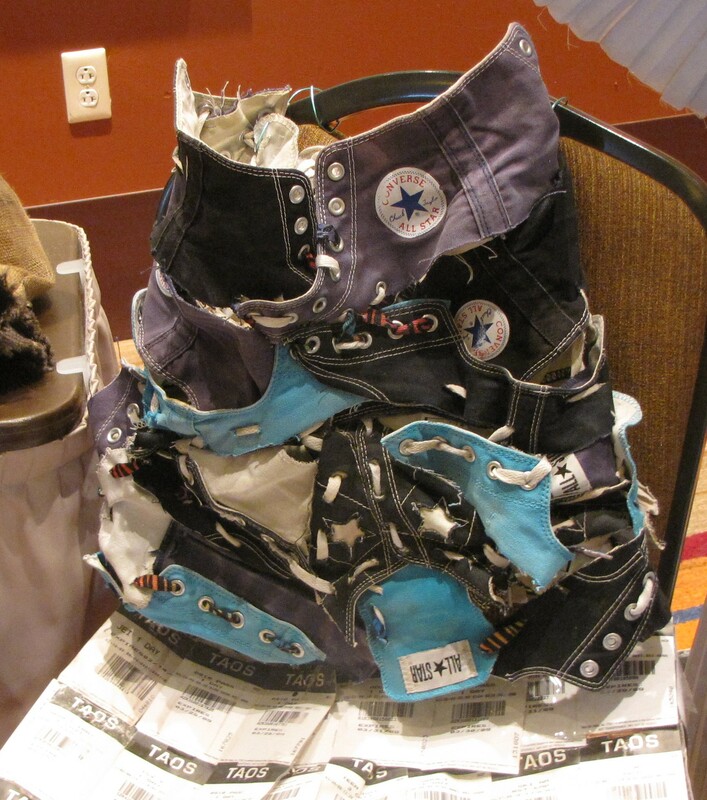 This year was my first to take part in the Recycle Santa Fe Art Festival, which was held Nov. 15-17. 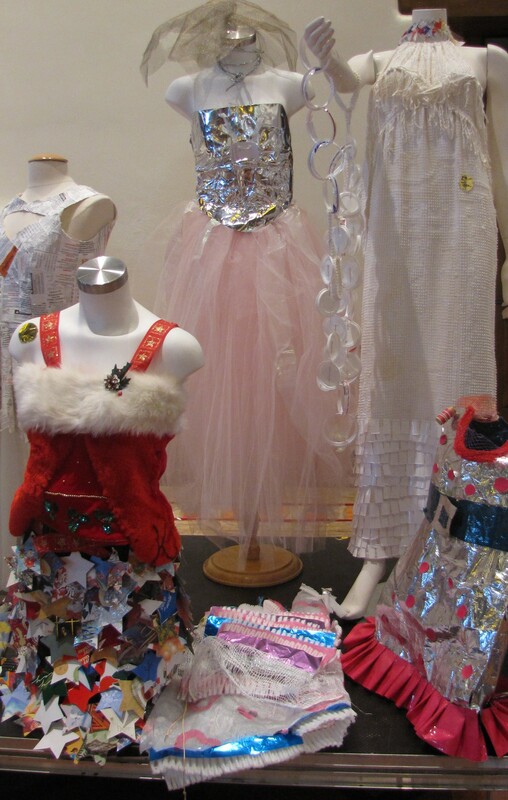 On Friday evening, there is the Trash Fashion show which features clothing made from things that would otherwise end up in a landfill. It was truly impressive what all the contestants came up with. Most of this post is going to be pictures, though I wish I had gotten a few more. 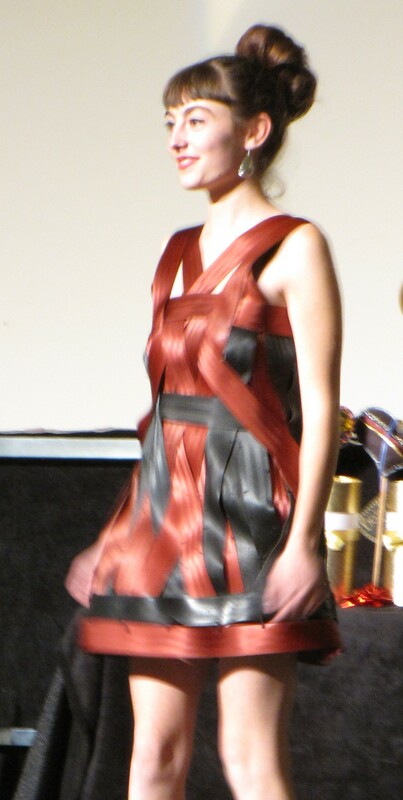 You’ll see that I was impressed with the seatbelt dress – red and black, such a great combo! The burlap bag dress was also very chic. There was this Flapper style dress that was made up of dangly glass bits, some of which fell off on the runway. It was also very stunning. 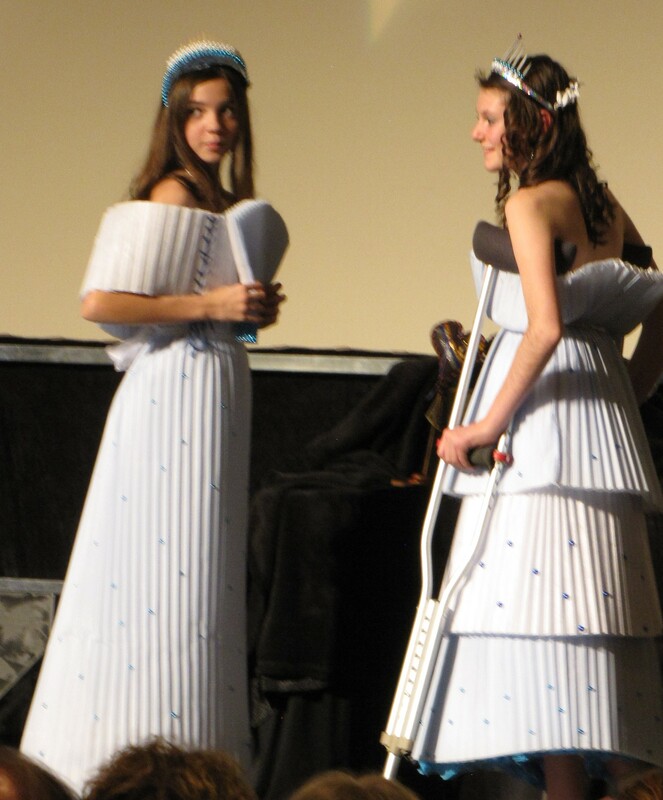 Another young lady made a Greek goddess dress from paper, though I only managed to get a decent picture of the dress after the show when many of the outfits are displayed. 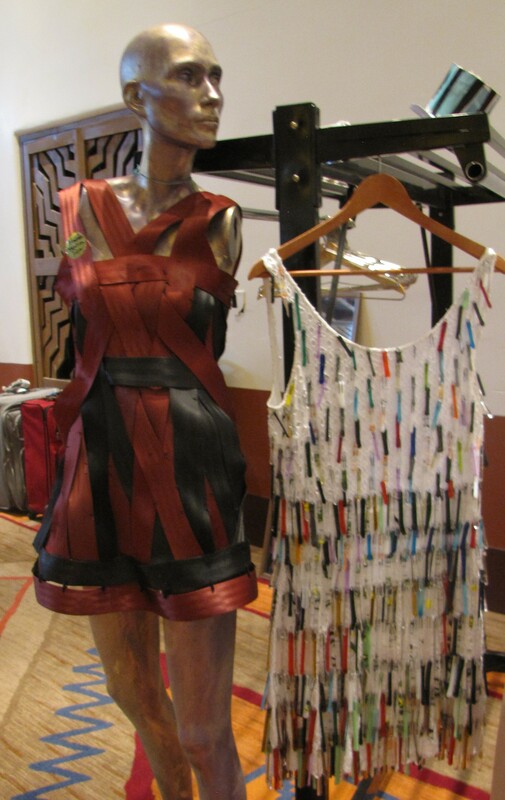 One outfit was made from airline travel tickets. 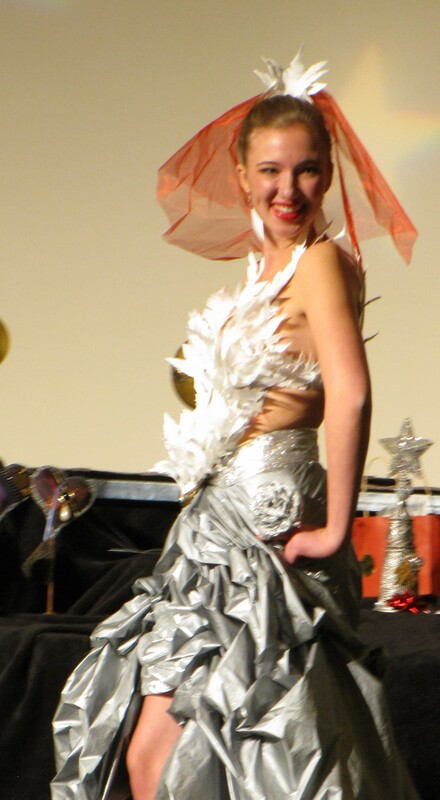 She brought her dog up on the runway too, who had a skirt made from barf bags. It was very cute. 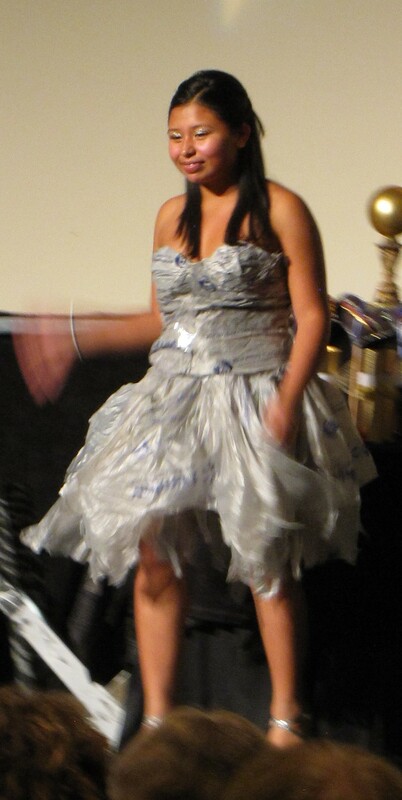 Then another young lady had this ballroom style dress made from chicken feed bags. It was very elegant. 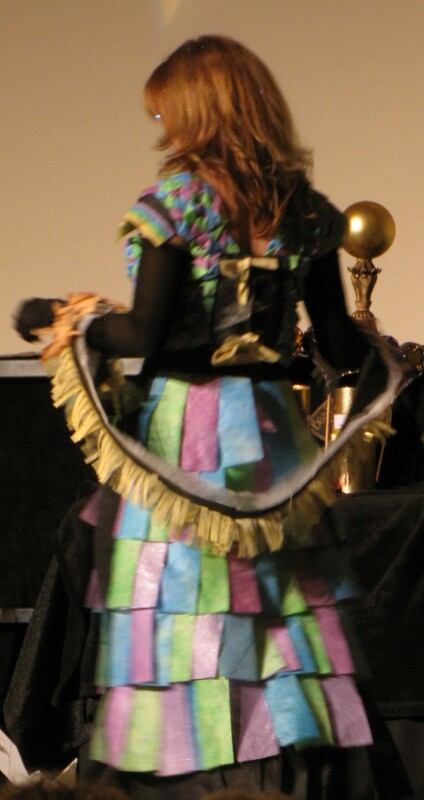 The skirt was also removable, and when it was removed, it revealed a chicken wire frame for the skirt, with a live chicken in it! Alas, the young lady was too quick for my older camera. Though I would be quick too if I had a life chicken up my skirts! OK, so the rest of this post will be pics. Sit back and enjoy! Made from photography film and cardboard packaging. Made from some sort of foil? 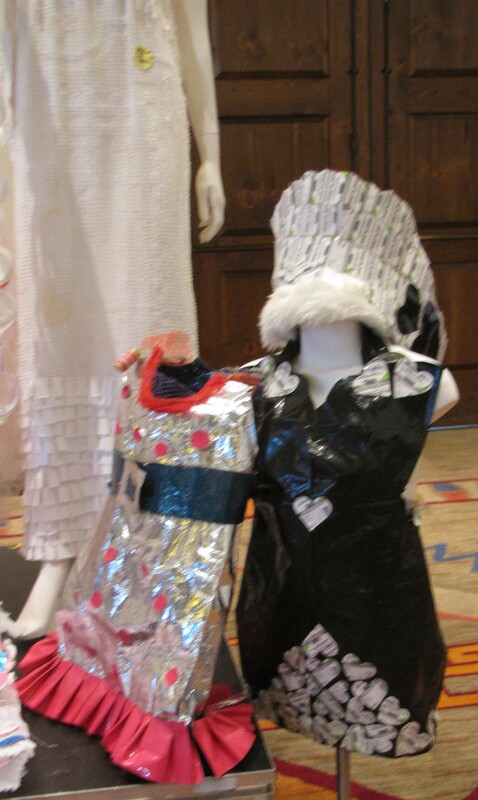 The skirt is from plastic table clothes and the top from plastic milk cartons. 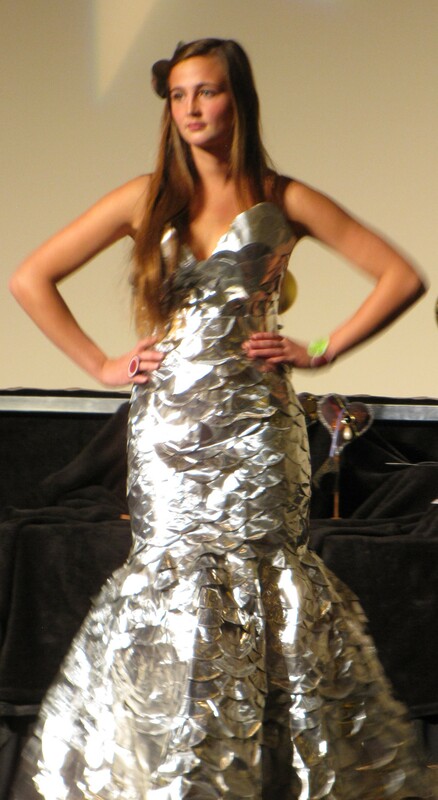 This dress was made from dryer sheets. A few more dresses from the fashion show. Three dresses from the fashion show. 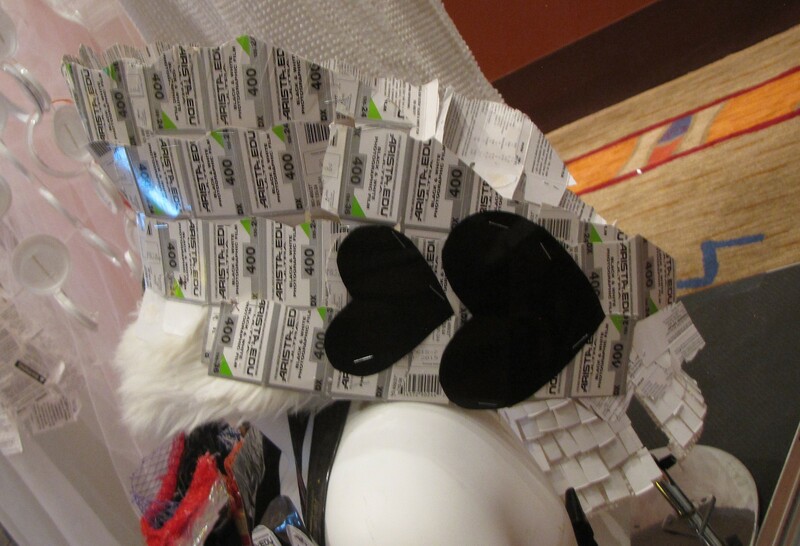 A hat made from cardboard of photography supplies. This skirt is made from sneakers. 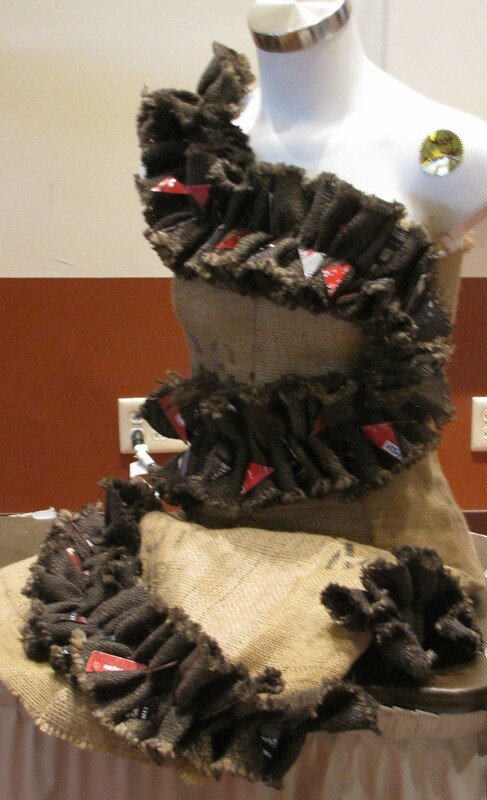 Here is that burlap sack dress. One dress made from seatbealts and the other made from ??? ?